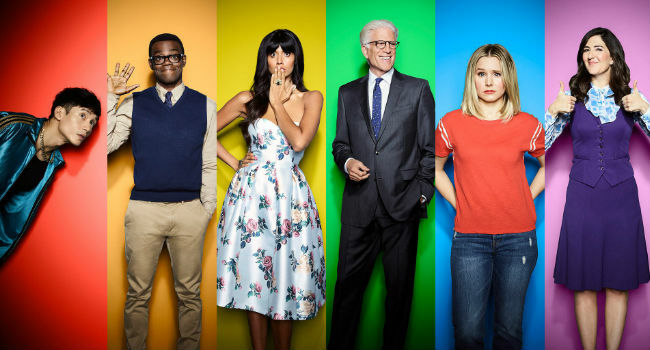 Who doesn’t love to pull back the curtain, The Wizard of Oz-style – well, in that case the Wizard wasn’t a fan which was, fair enough I guess; he had a lot to hide – and see what happens before the glitz and the glamour, or in the case of NBC’s hot existential comedy The Good Place, the hilariously-insightful and heartfelt stories we see on the small screen? We all do, c’mon and in this video that was originally sent out via the social media team responsible for The Good Place, which Netflix carries internationally thankfully, we get a lovely, delightful glimpse into what happens when the cameras aren’t rolling. Well, when the episode-recording cameras aren’t rolling anyway. In this case, there’s obviously still a degree of performance but it’s fun, it’s silly and gloriously hammed-up, giving us a whole other side to the actors we know and love and a show that will hopefully last an enternity. That’s The Good Place we’d all like to inhabit, after all.